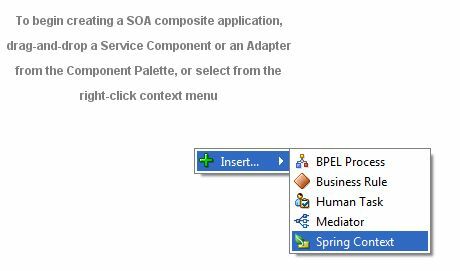 A few years ago I was very proud that I managed to call java from BPEL through WSIF. I think that the method pretty much should work in 11g. 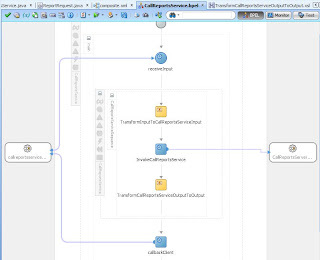 But my method back than used the deprecated tool Schema Compile. So I would need to figure out how to do that with JAXB or something. 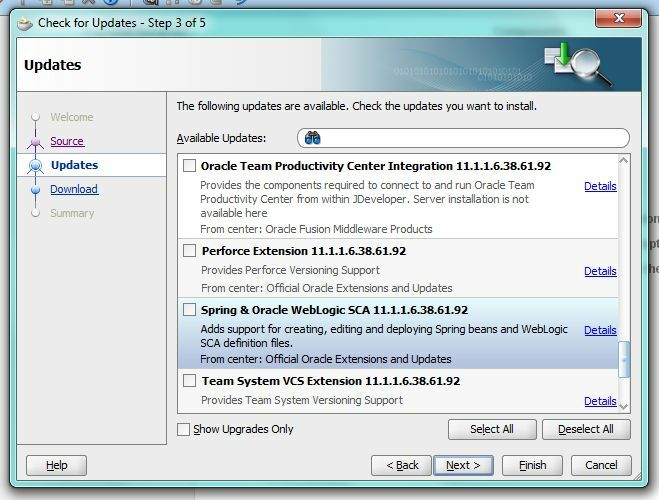 But now in the later patchsets of Weblogic/SOASuite there is a far more nicer method: Spring. 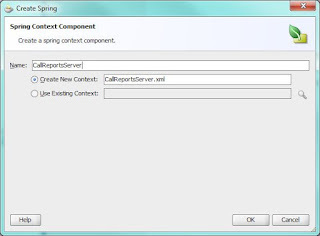 Now, my experience with Spring starts since yesterday... Spring is a method to embed simple java objects (Plain Old Java Objects: POJO's) into an application server context. In SOASuite it is implemented in a real cool way, so that you can embed them in a real declarative way. If you google your way around you can find several examples on Spring and SOASuite. Documentation you can find here. And Edwin Biemond created an article about it. 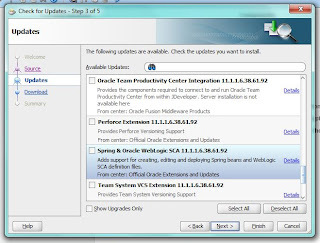 But unfortunately, it did not become clear to me how I had to implement my setup. 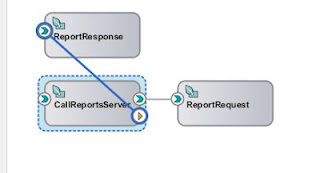 In my previous article I explained how to call Oracle Reports from java. I want to call that from BPEL or Mediator. Earlier I thought about the Socket adapter or the HTTP service-reference. 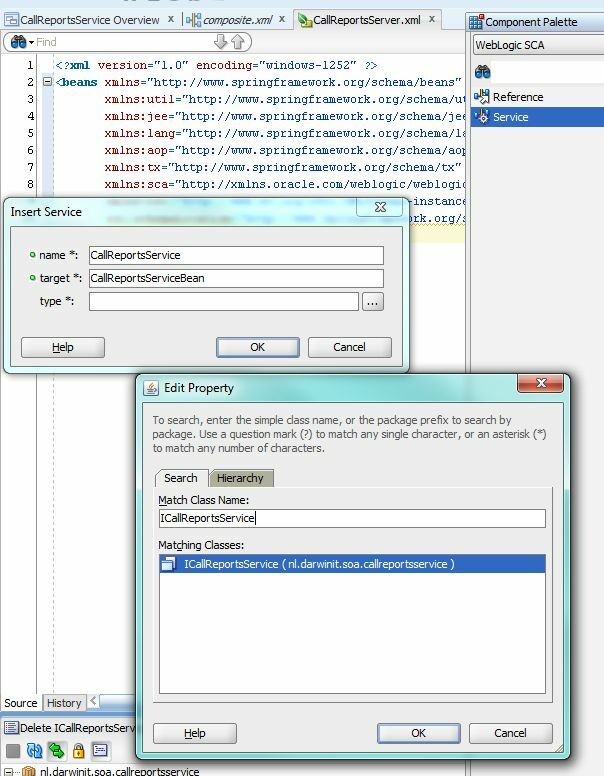 But those options failed because the examples I found expect XML as an input (REST), where I needed to call an URL with parameters. Or they prevented me to call a url on port 80 (on which our reportservers listen...). In that article you read that I had a service, and the input is a bean and the response is a bean. The reason of that was that I needed to pass multiple attributes as parameter and receive multiple attributes as a response. 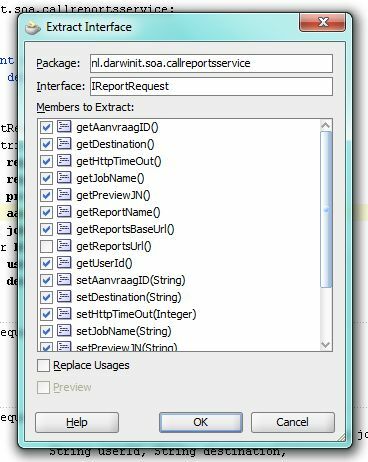 In reallife you might have a service with a bean structure as a request and response that reflect a complete hierarchical XML structure. The examples I found just talked about classes with elementary datatypes as parameters and results. 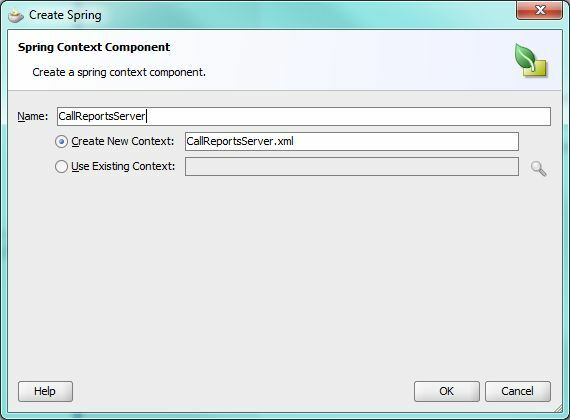 So how to set up your spring context to be able to do your call? At first I thought I needed just one context for the service. 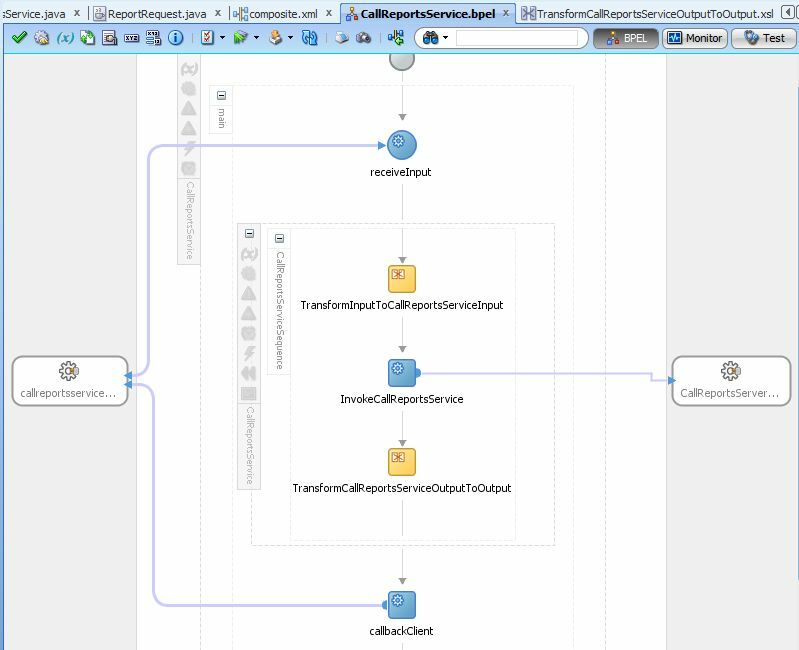 But it turns out that you have to create a context for every bean that plays a part in the interface (basically your service and every bean in the call parameter and response class structure). 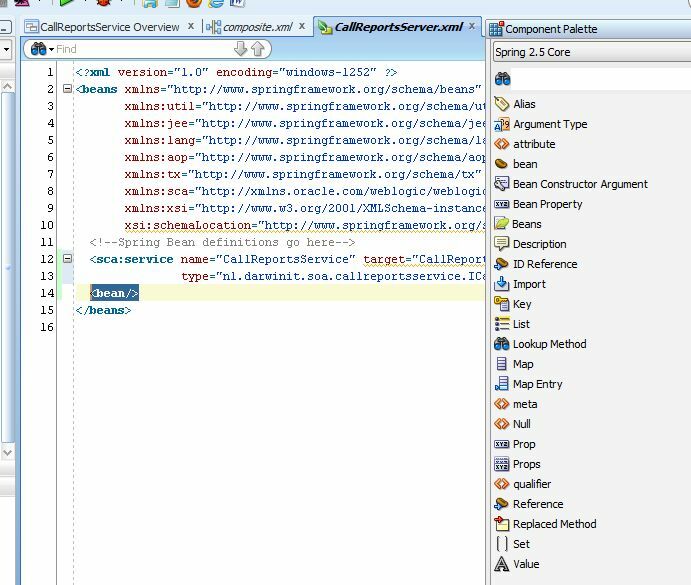 To be able to expose the java classes to a WSDL (that is generated for you when you wire the service to BPEL) you have to generate Interfaces on your classes. So building further on my previous story, that would be on the classes ReportRequest, ReportResponse and CallReportsService. In my previous article I put a method in my request bean to construct the Reports Server url (getReportsURL()). This method I don't want to have exposed in my WSDL. So I did not select that in the list. You can do the same for the other two classes. Add it and restart JDeveloper. 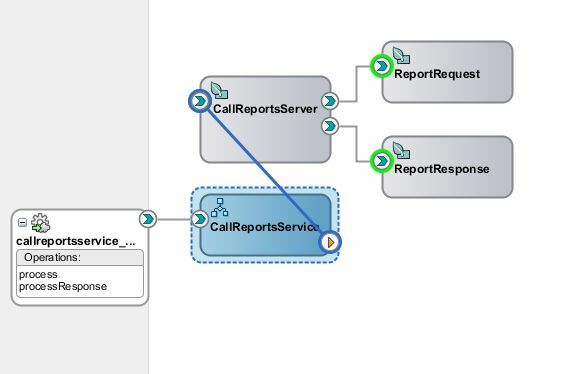 Name it CallReportsService, and as a target the CallReportsServiceBean. 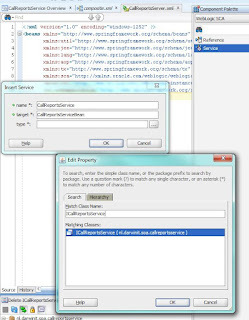 As a type you can browse to your classes, choose here the interface ICallReportsService. 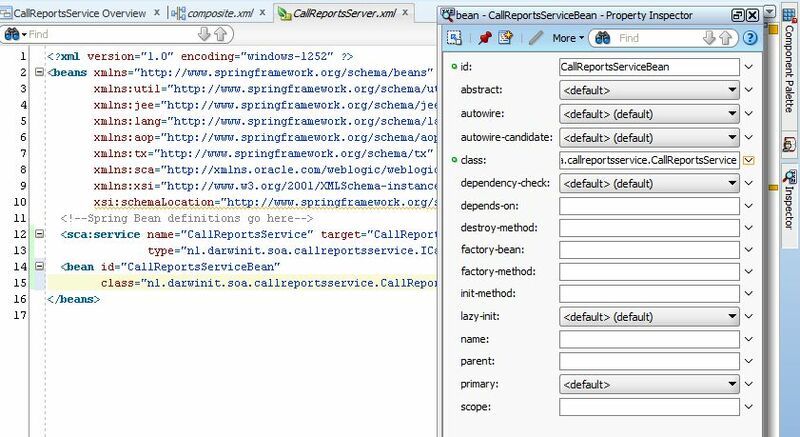 The Id of the bean should be the same as the target of the service: CallReportsServiceBean. The class can be browsed the same way as the type in the Service. 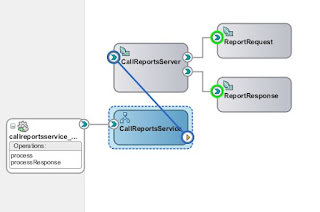 Choose here the implementation class "CallReportsService". Now we can do the same for the other two beans. For the two input/output beans (ReportRequest and ReportResponse) I choose the bean implementation itself as the type. In my first setup I encountered that at Runtime SOASuite tries to call the public no-parameter-constructor of the type. 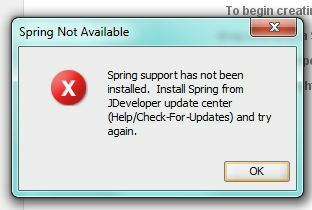 Since an interface does not have a constructor, it failed. So I replaced that with the implementation bean. This gets you the following context definitions. Well, actually that is about it. 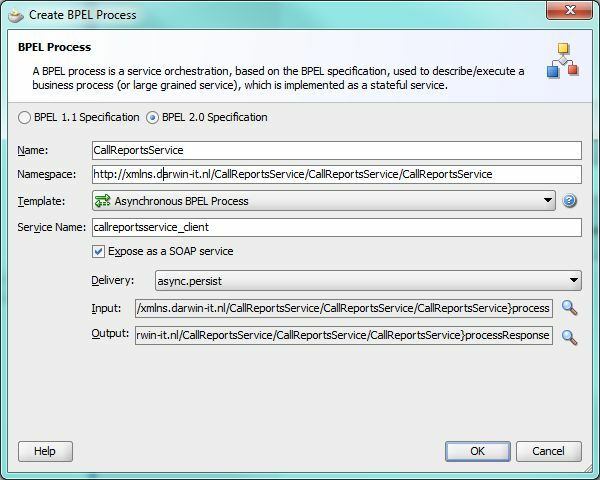 Now lets create a BPEL process. 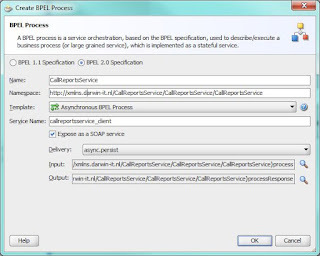 Now you can implement the BPEL Process. 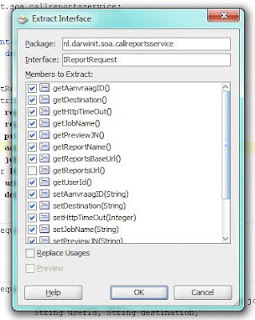 Since I choose the ReportRequest implementation bean as a type in the ReportRequest Spring Context, it turns out that it generated an element for the reportURL getter. 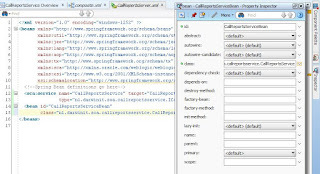 You could remove that from the wsdl, but since it is not exposed as a service, you can also leave it that way. Just don't map it to any input. Now you can deploy and test. 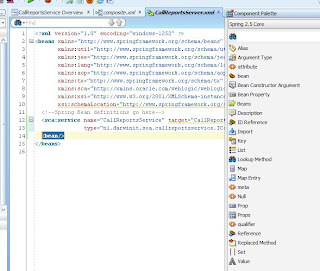 As you can see, it's a very declarative way to create a webservice on a java class. I wrapped up my complete project here.